Updated the Home Page Hurricane Season Marque to reflect a generalized mesasage regarding the Colorado State University Seasonal Atlantic Hurricane Season Forecast and Two Week Forecast issued throughout the current Atlantic Hurricane Season. Existing links have been modified and new links created to take users to those Web Pages at CSU. Updated Quick Links to reflect CSU-Klotzbach Tropical Forecast in generalized terms rather than a specific date. Selecting the new link will bring users to the correct location to view the various forecasts. Updated Quick Links to reflect CSU verification of Seasonal Atlantic Hurricane Forecasts in generalized terms rather than a specific date. Selecting the new link will bring users to the correct location to view the various verifications of forecasts. Updated Quick Links to reflect the NOAA Current Year Tropical Forecast in generalized terms with the link taking users to NOAA's Latest New and Features which will include the current year Tropical Forecast once it is issued by NOAA. The above updates were done across the current Home Page plus the two Home Pages that have been redesigned for future release on both Server 2008R2 and Server 2016. Video testing of CMP's redesigned and updated live video stream has started with several Web Pages currently being tested. Updated the Home Page Hurricane Season Marque to reflect the May 31, 2018 Colorado State University 2018 forecast. Updated Quick Links to reflect new CSU-Klotzbach 2018 Tropical Forecast issued 5-31-18. Updated Quick Links to reflect new NOAA 2018 Tropical Forecast issued 5-24-18. Updated the Home Page Hurricane Season Marque to reflect the April 4, 2018 Colorado State University 2018 forecast. Updated Quick Links to new CSU-Klotzbach 2018 Tropical Forecast issued 4-5-18. Updated the Home Page Hurricane Season Marque to reflect the December 13, 2017 Colorado State University 2018 forecast. Updated Home Page Satellite Picture heading and link to reflect the new GOES 16 East Satellite Picture. Updated Home Page Weather Map heading to NWS WPC Weather Map. Updated Home Page Storm Prediction Center heading to NOAA/NWS Storm Prediction Center.. Updated Quick Links to new CSU-Klotzbach 2018 Tropical Forecast issued 12-13-17. Updated the Home Page Quick Links to include CSU-Klotzbach Verification of 2017 Atlantic Seasonal Hurricane Fcst. Updated and expanded the Home Page MAPS Section GOES Satellite Images to 3 seperate links: GOES 16 East - Satellite Images, GOES 15 West - Satellite Images and Satellite Images - GOES Imagers: East & West. Updated the Home Page MAPS Section Links to include Satellite Information and Links. Adjusted the Text Shadow in Weather DataBubble 2 in the Rapidfire.css file to allow for easier reading of High and Low Temperatures. Updated DWT file with changes to buttons at the bottom of web page. Tested new URL to verify changes flowed through correctly. Rearranged the button selections on the DWT page to a more logical order. Added a new web link button on the DWT page for the Super Compass Web Page. Updated CSU Tropical Section 2017 Forecast to the latest August 4, 2017 Forecast. Tested new URL to verify changes flowed through correctly. Updated the MARQUEE Banner to reflect the new Tropical Forecast released August 4, 2017. Fix Moon Phase GIF on USA2.HTX to point to local resource. Increased size of NWS Forecast Widget to 800px in height on the USA2.htx file to eliminate scroll bar. of the Web Page. Also, the NWS Forecast section is still using the NWS Widget Iframe for the forecast data. Background for the insert section. Centered High and Low Temperature Time Stamps located under Current Conditions Section. **The above New Home Page is the testing ground for all the new changes being made to the former Home Page. This version no longer requires the USA.HTM copy over page for the lower section of the Web Page. which is being created using the new NWS JSON API. This version uses a Dark Blue Gradient backgraound throughout the page. The Gray Background has been replaced with the Dark Blue Gradient Background. KFLSEBAS1 - New Home Page With Rapid Refresh; USA2.htm inline page eliminated: Background is Gray. throughout the page but has returned the Gray Background in the insert section with black font instead of white font. It's just a differnt look for the New Home Page. One of any number of possibilities. up to date and inline with insert being used in new home pages. NWS Forecasst Icons appear to be undergoing changes on the NWS end. This caused the NWS Forecast Icons to change size from their preset "medium" and "small" settings. To overcome this unexpected behavior, the NWS Forecast Icons were hard coded to the following height="85px" width="85px". Several days of sanity testing indicated the changes are now displaying the NWS Icons size correctly. NWS Accordian Menu Ideas - Not Much Here but Saved for Possibilities. Corrected Current Out Temp, Daily High and Daily Low script typo's common to all three. NWS Forecasst Icons appear to be undergoing changes on the NWS end. This caused the NWS Forecast Icons to change size from their preset "medium" and "small" settings. To overcome this unexpected behavior, the NWS Forecast Icons were hard coded to the following height="55px" width="55px". Several days of sanity testing indicated the changes are now displaying the NWS Icons size correctly. Conversion for lines of code to resolve the decimal rounding issue for Temperature, Rainfall, Dewpoint, Humidity, etc. See code on Web Page for specifics. Additional rearrangements, alignments and positioning of data for asthetics. Add Page Updated information, Copyright, and USA Flag. Testing different lines of code to resolve the decimal rounding issue for Temperature, Rainfall, Dewpoint, Humidity, etc. See code on Web Page for specifics. Also, various rearrangements, alignments and positioning of data for asthetics. Dew Point, Wind Speed, etc. Color Key Code Chart - Barometric Pressure, Temperature, Rainfall, Dew Point, Wind Speed, etc. Updated kflfruit7template.dwt and 22 linked Web Pages with new Web Domain URL. Copied the affected pages from the Weather Server PC to the WEB Server. Tested to be sure changes flowed through correctly. Added new link button designated with * to make accessing the "Super Compass" easier. KFLFRUIT7 - Original Home Page, in all its glory, using the Weather Underground's Rapid Update Fleature. Updated Web Pages with new Web Domain URL. still using the NWS Widget Iframe for the forecast data. Update Home Page Satellite Picture to new GOES 16 East Satellite Picture. replaced with the local version on the NWS forecast which is being created using the new NWS JSON API. • Updated DWT file with background link change to the National Weather Service Forecast Box where you Enter City or ZIP for Your Forecast Office and click on GO. Specifically, form method="post" action="https://forecast.weather.gov/zipcity.php" target="_blank" Tested all the Forecast Boxes to be sure they worked correctly. Published all affected WEB Pages to the WEB Server. • Updated DWT file with changes to buttons at the bottom of web page. Tested new URL to verify changes flowed through correctly. • Rearranged the button selections on the DWT page to a more logical order. Added a new web link button on the DWT page for the Super Compass Web Page. Published all affected WEB Pages to the WEB Server. • Updated "canned" NWS Forecast boxes for inclusion in Web Pages with background link change to the National Weather Service Forecast Box where you Enter City or ZIP for Your Forecast Office and click on GO. Specifically, <form method="post" action="https://forecast.weather.gov/zipcity.php" target="_blank"> Tested all the Forecast Boxes to be sure they worked correctly. Published WEB Page to Server. • Corrected National Weather Service National Map hot link to JPG of the actual Weather Map. • Corrected National Weather Service GOES North America Water Vapor JPG and Link to reflect new GOES 16 Satellite. • Corrected Weather for You US Enhanced IR Satellite	picture. Sadly, they use overlays now so was only able to show base map. • Corrected Weather for You Current Radar. Sadly, they use overlays now so was only able to show base map. • Corrected Mangum's Auto Parts to refelect they are no longer in business. Moved Ad towrds the bottom of the Web Page. • Corrected Seaside Vapors name change to 20 Past 4, removed 800 number and reflected new product offerings. • Corrected the Web Link error on Advanced Flight Training. • Other minor corrections as required. • Fixed GOES Satellite picture and link from the old GOES 13 to the new GOES 16. • Fixed Tropical Weather Outlook scroll to reflect current year information. It was stuck on November 30, 2017 and would not change. • Updated the 2017 Preliminary Tropical Cyclone Tracking Map to the final product map for 2017. • Corrected the hover over link that takes you to the NHC Preliminary Reports when hovering over the Track Map. • Changed the font color of the TropicalWeatherOutlook1A.shtml scroll to make it more ledgible. • Fixed Auto-Style 32 failed border on pictures. • Added 2017 Tropical Cyclone tack Map with link back to HNC. • Added, Corrected and/or Updated various links on the page. • Major overhaul of the entire WEB Page, similiar to the Tropical Weather Page, due to changes with the implementation of the new GOES 16 East Satellite. • Updated NWS Forecast box located in the lower section of the WEB Page with background link change to the National Weather Service Forecast Box where you Enter City or ZIP for Your Forecast Office and click on GO. Specifically, form method="post" action="https://forecast.weather.gov/zipcity.php" target="_blank". Tested the Forecast Box to be sure it worked correctly. Published WEB Page to Server. • Made Page Default to open links in New Window for all links. This was done to prevent the hang from going to WU and being unable to return to the Site Map Page without difficulty. • Corrected the following link to point to the correct HAM Weather URL: KFLSEBAS1 - HAMWEATHER - Current Weather Conditions - Sebastian, FL, US. • Removed WEATHERBUG URL and Link. They have changed their rules and no longer appear to support displaying or giving credit to local weather station data. 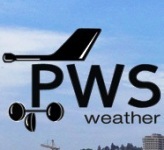 • Corrected the following link to point to the correct Weather Underground URL: KFLSEBAS1 - WUNDERGROUND - Forecast Weather Station Data with PWS Network Neighborhood. • Updated DWT file with changes to buttons at the bottom of web page. Tested new URL to verify changes flowed through correctly. Rearranged the button selections on the DWT page to a more logical order. Added a new web link button on the DWT page for the Super Compass Web Page. vMajor overhaul of the entire WEB Page, similiar to the Tropical Weather Page, due to changes with the implementation of the new GOES 16 East Satellite. • Corrected the following link to point to the correct Weather Underground URL: KFLFRUIT7 - WUNDERGROUND - Forecast Weather Station Data with PWS Network Neighborhood.